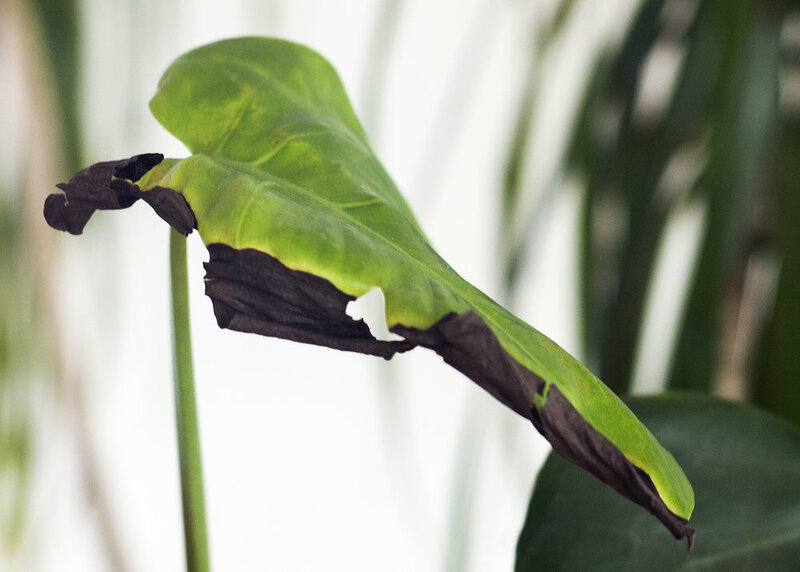 Browning leaves are typically caused by under watering, sunburn, or overwatering. If the leaf tips are turning brown and crunchy, the soil likely became too dry for too long in between waterings. This can also cause the plant to drop leaves. This doesn't necessarily mean that you are consistently under watering, as it could have only happened one time to cause the browning. The brown leaf tips will not turn back to green but you can trim the brown edges to get the plant back to looking healthy. Find out more here. If your are noticing brown patches all over the leaves, this could also be a sign of overwatering. Typically when the plant is overwatered you'll also see some yellowing on the leaves. Find out more here. If you are noticing brown spots in the center of the leaves, this could be caused by too much direct sunlight hitting the leaves. Some plants are sensitive to direct sunlight and will burn easily. If this is the case, try moving your plant to a location where it will be out of the direct rays of the sun. - This typically happens if you move your plants from inside to outside during the summer without acclimating them to the direct sunlight.